Bringing to people the joy that music gave me when I first picked it up is perhaps the most fulfilling thing I have ever experienced. Dillon is a great teacher that got me started with learning my first couple songs on the guitar, great for beginners!! I look forward to more lessons! Dillon Norback displaying a great deal of patience and belief my dream in music helped me become a more comprehensive player that understands Theory and is able to play with other musicians. 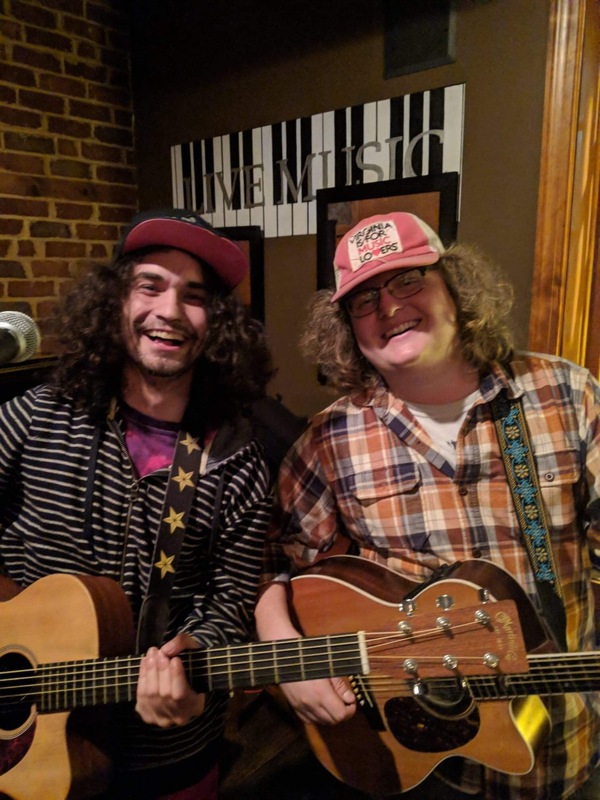 Whether you're looking to get your feet off the ground and learn how to strum a few tunes or you're trying to really pull it together and get a band behind you Dillon can surely teach you the skills needed to get you there. The initial process is all about finding the most effective way to make music as interesting and the process of learning as effective as possible. The combination of these two lead to the the quickest and most satisfying progress. Essentially, this equates to identifying the students goals, putting the students goals in context, and then finding the quickest and most entertaining path with the students learning style to reach those goals. At the moment, I do 25 dollars an hour , but I’m open to work with those who are truly willing to learn! I began teaching with the intention of spreading the joy and social connectivity of music with those close to me, and have since expanded to wanting to share that happiness with anyone willing to learn! I have worked with students from beginner to intermediate, and both children and adults. Find someone who is willing to work with you to figure out a lesson plan that now only teaches you effectively but that keeps you engaged. Wanting to play is the most important thing! What kind of music do I want to play? How much time am I willing to invest into music? Which techniques and styles are most entertaining for me to play? Which techniques and styles are most difficult for me to play? Do I see myself playing in a band? If so, which position(s) do I see myself fitting in in that band?